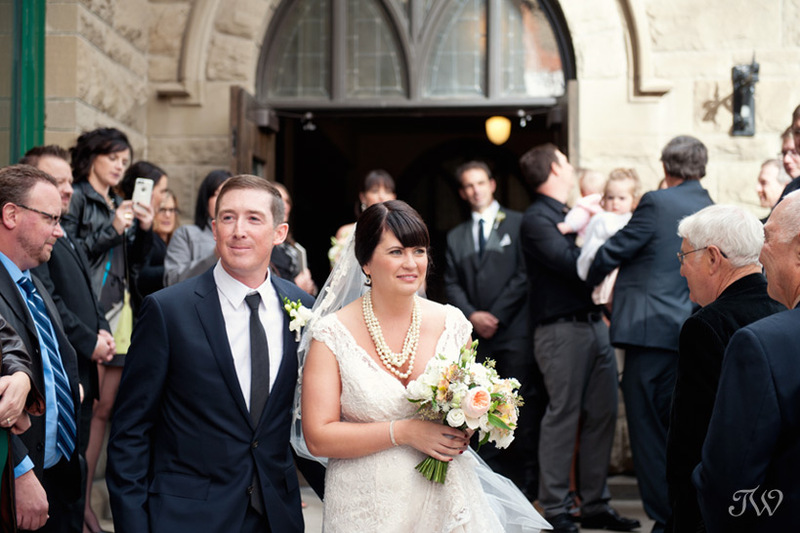 This Calgary Bride and Groom tied the knot on Saturday and today I’m posting their sneak peek. 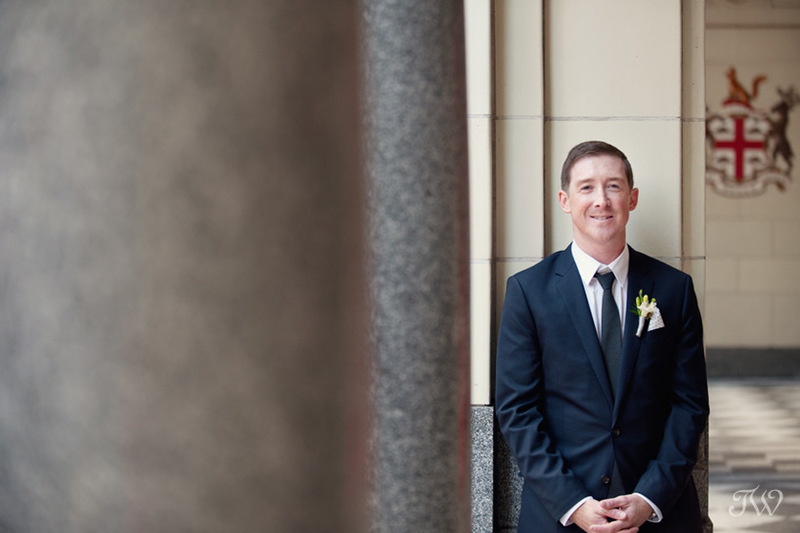 The wedding had a classic and elegant, yet modern feel, and Stephen Avenue made the perfect backdrop for their wedding photographs. 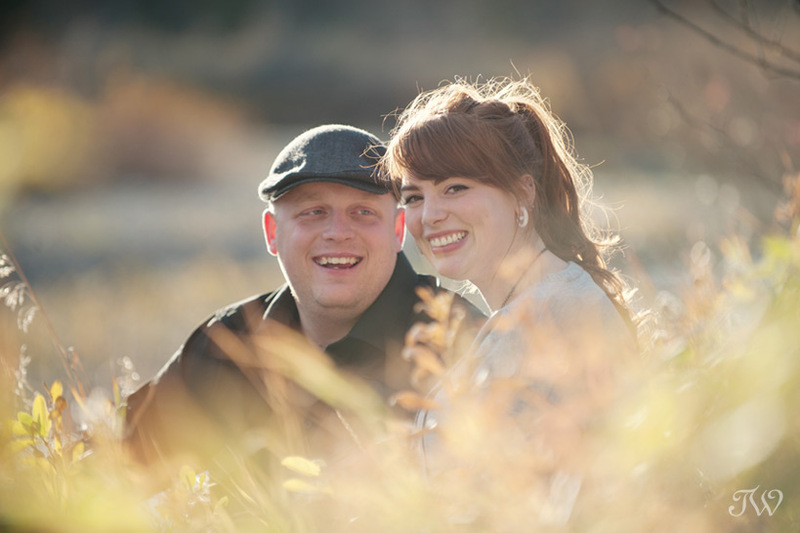 Much more to come from this celebration soon but a big congratulations to Kellie and Ryan! 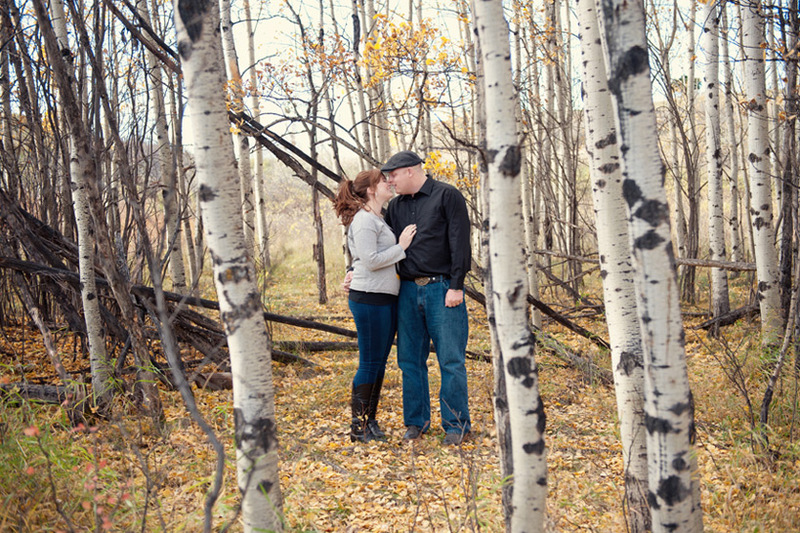 Here’s Kellie and Ryan’s Elbow River engagement session, if you’d like to see. I do love a flower crown. 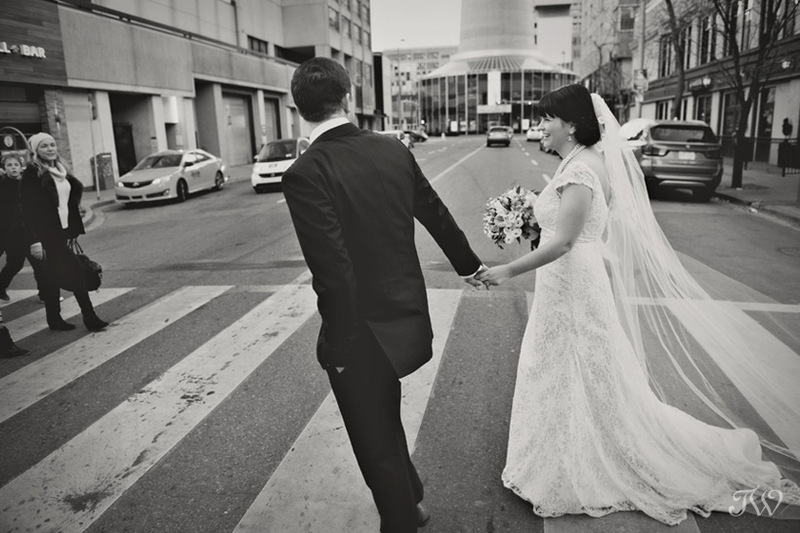 While they’re breathtaking on a bride, they’re also pretty for a simpler occasion like a shower, birthday party or even a family photo shoot. 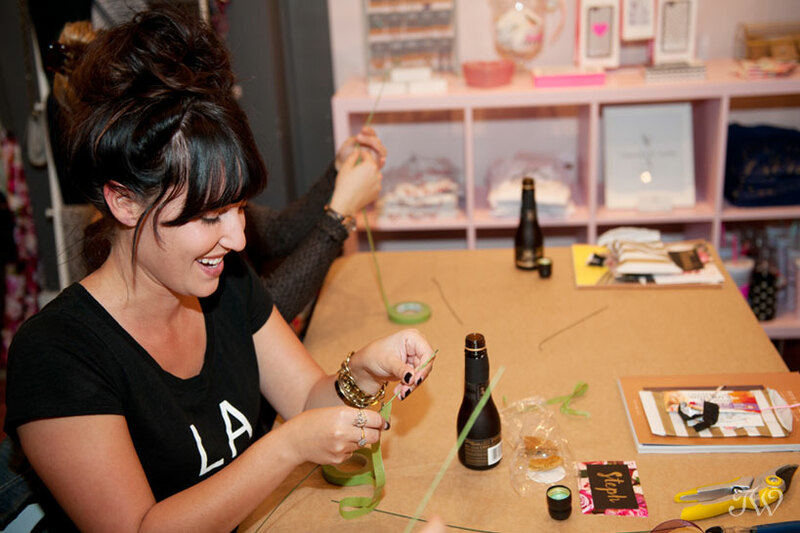 If you missed last week’s DIY flower Crown workshop at Adorn Boutique with Flowers by Janie and myself, then you’re in luck. 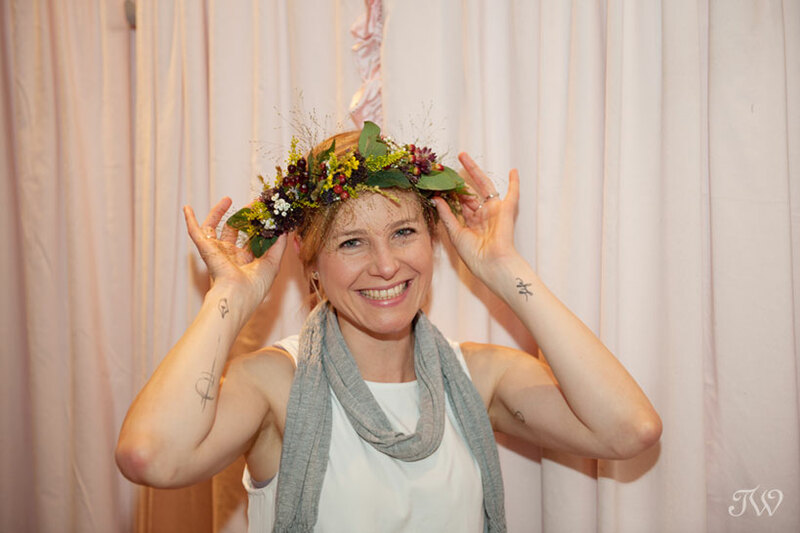 Janelle from Flowers by Janie and I prepared a DIY stop-motion video with all of the tips for recreating this beautiful (and simple) flower crown. Good luck! Here’s a pretty, fall flower crown from a few years ago, if you’d like to see. 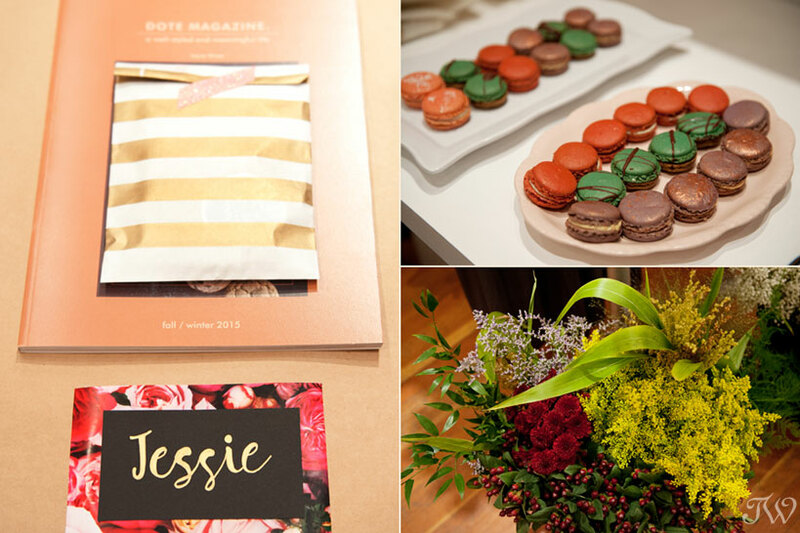 Flowers, champagne and sweets…oh my! 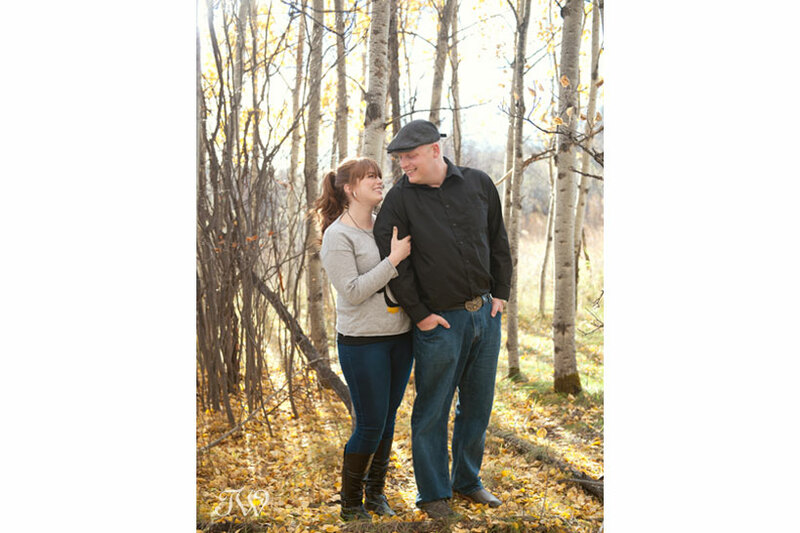 I spent last evening with a few of my favourite people, and some new friends as well. 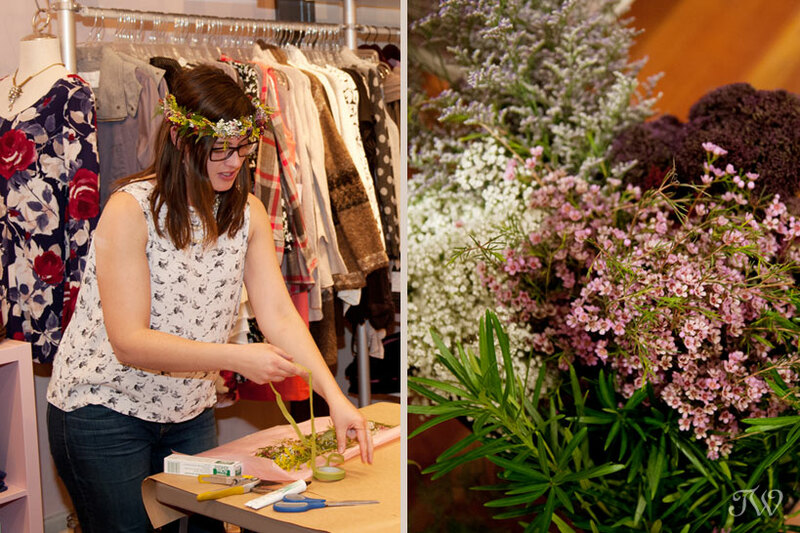 Kari from Adorn Boutique, Janelle from Flowers by Janie and myself, co-hosted a flower crown workshop in Inglewood. 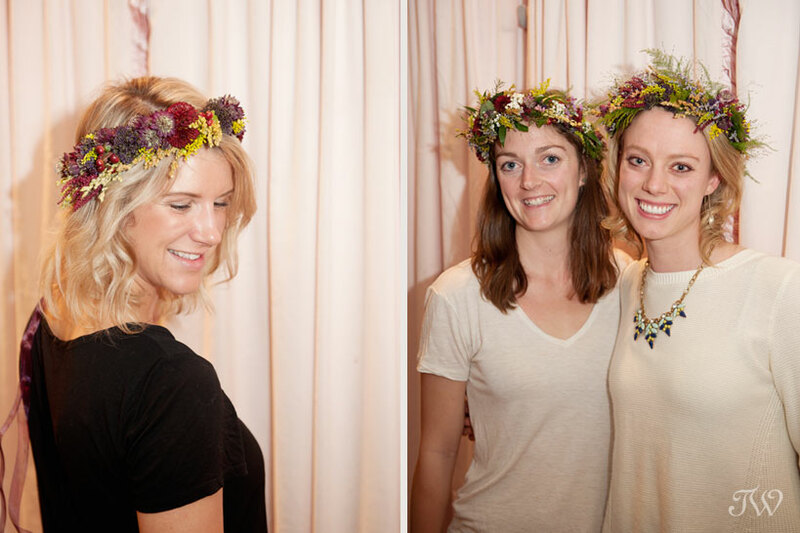 Janelle taught our guests the tricks and tips of putting together the perfect flower crown. We know flower crowns are lovely for brides but wouldn’t they be perfect for a bridal shower or birthday party too? Though they all started with the same selection of blooms, I love how each guest created a truly unique piece. Thanks to all of the ladies who came out last night. A special mention to our event sponsors Yann Haute Patisserie, for providing our attendees with delicious treats and to Azuridge Hotel for the fondue and wine gift certificate won by this lucky lady. 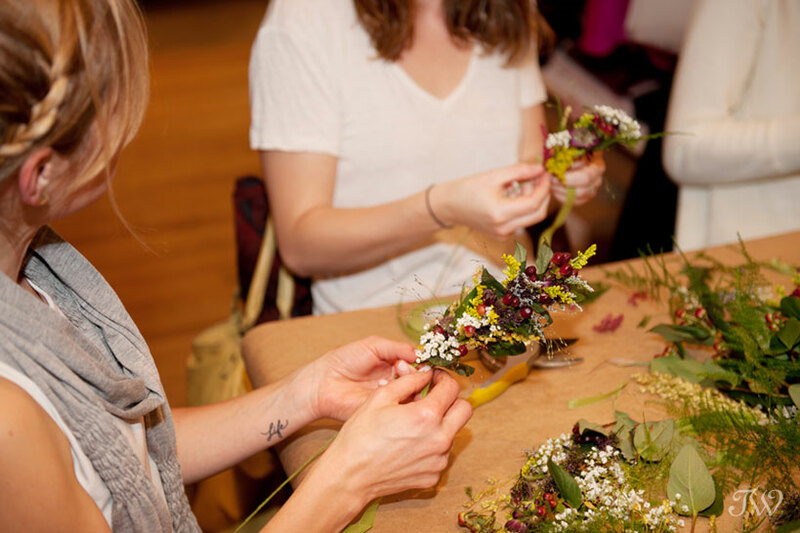 Our next floral workshop is coming up in early December, just in time for Christmas festivities. 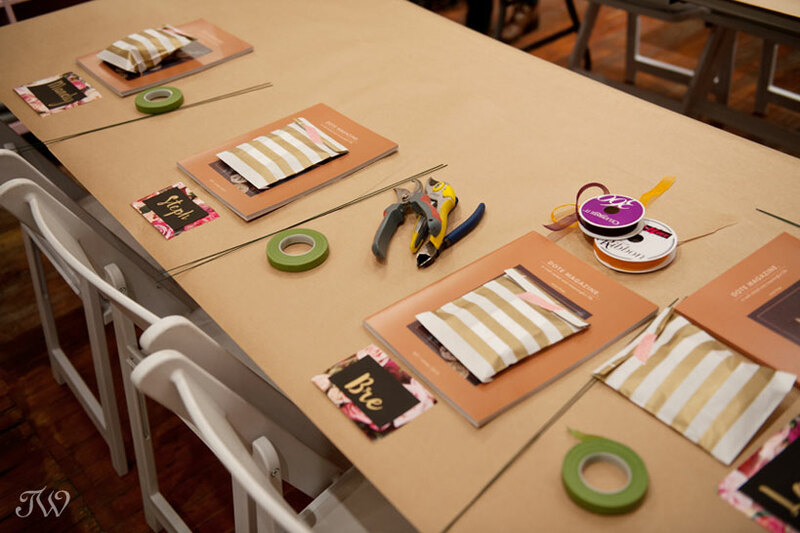 Stay tuned for the official announcement and all of the workshop details. 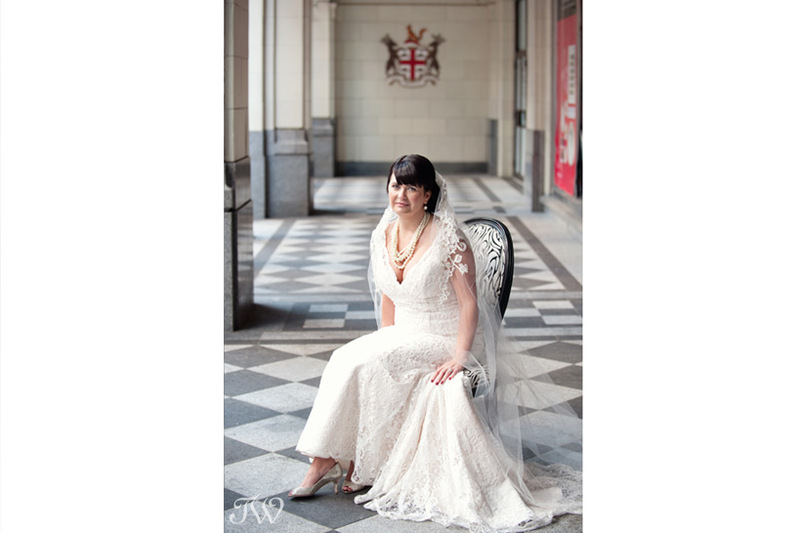 For the guests that attended last night, your photos will be posted to the Adorn Facebook page. Take a peek. 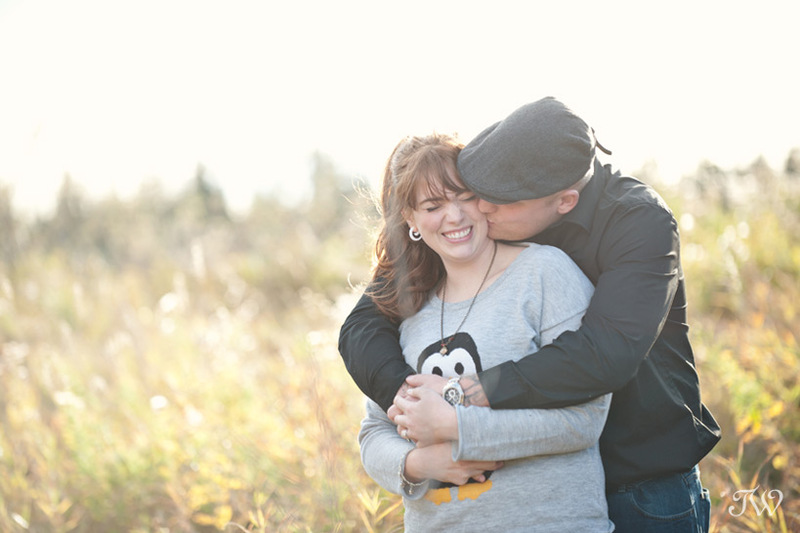 Here’s a snippet from last year’s December workshop, if you’d like to see. How does the old saying go…”the whole is greater than the sum of its parts”. 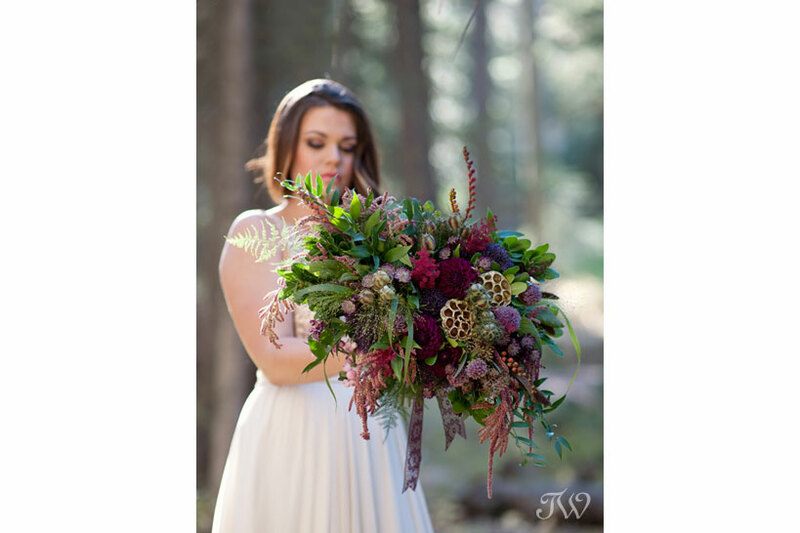 That’s certainly the case with this beautiful fall bridal bouquet from Flowers by Janie. 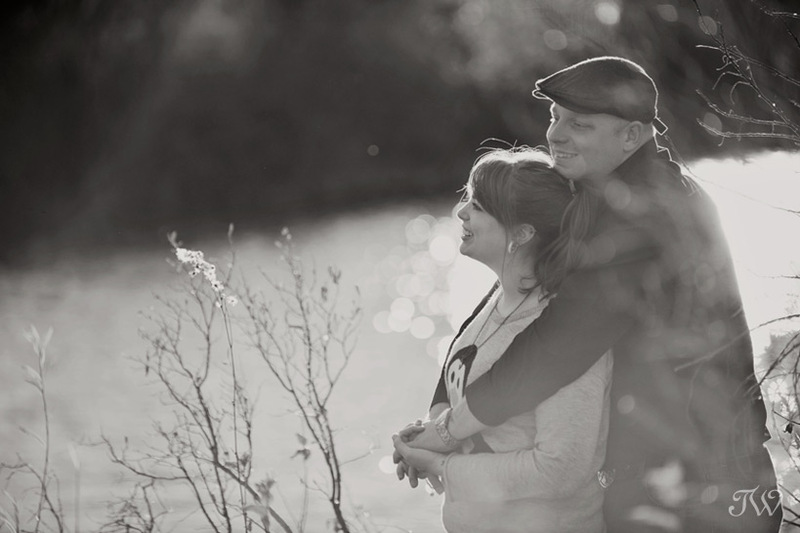 Bride Bri carried it during her enchanting mountain photo shoot in Banff. Crocosmia comes from the Greek works “Krokos” meaning Saffron and “Osme” meaning smell. These dried flowers have a heavy saffron scent when placed in warm water. Montbretia is the common name used in the United Kingdom and Canada, named after French botanist Antoine Francois Ernest Conquebert de Montbret, who accompanied Napoleon’s invasion of Egypt from 1798-1801. In the United States you may here them called coppertips or falling stars. Montbretia have arched stems of small glossy pods that look like berries in mixed shades of green, orange, yellow and burgundy. 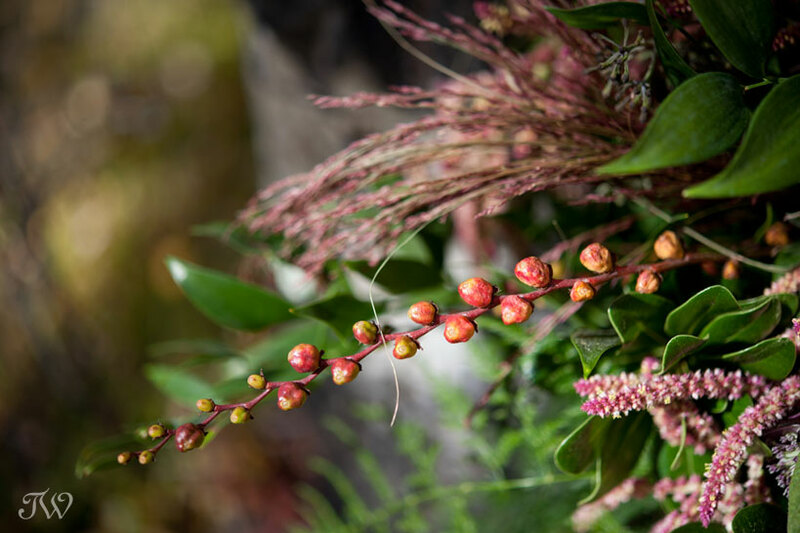 The seedpods appear after the flower blossoms fall in August making the pods available in September and October; perfect timing for autumnal weddings requiring flowers, foliage and pods in interesting textures and colors. 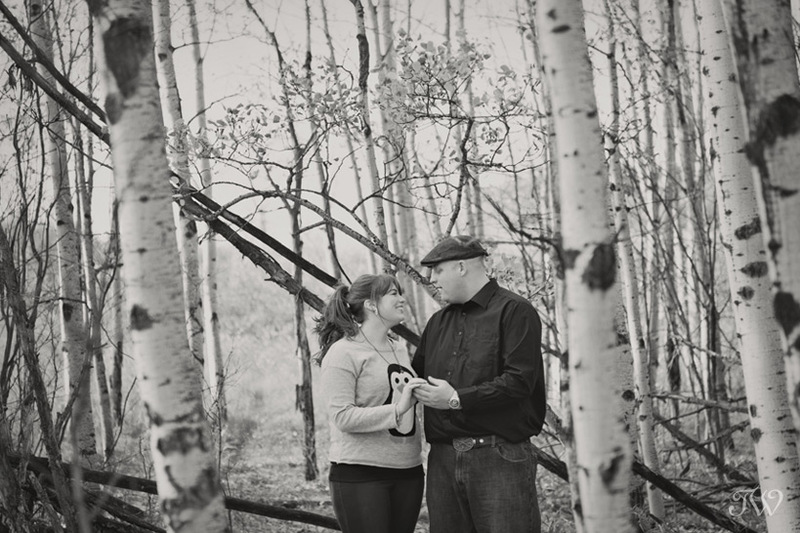 They are native to South Africa but are commercially grown in California and Holland for Calgary area brides. 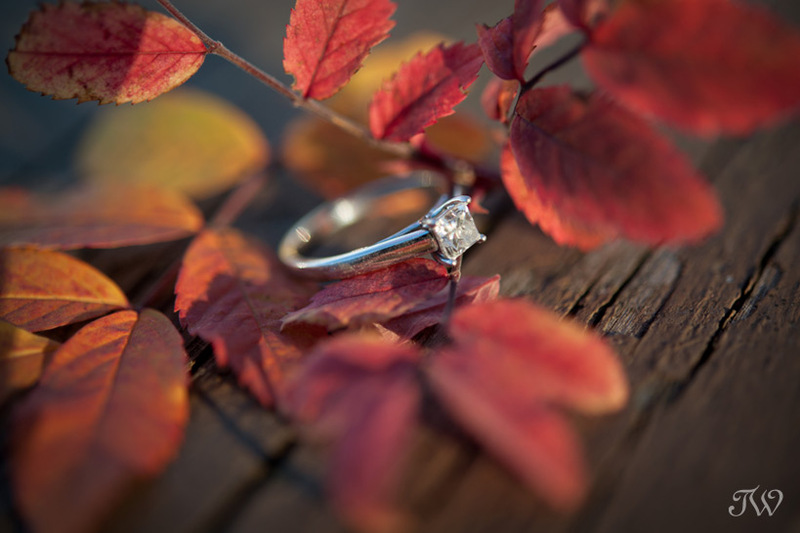 They dry beautifully and are very hardy, so they will look stunning long after your wedding day. 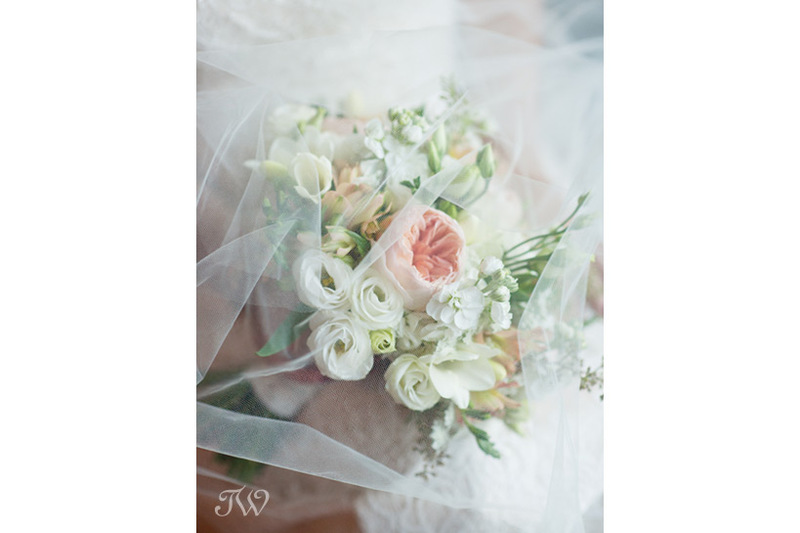 They give a lovely textural effect to bouquets and wedding centerpieces. Last week we featured Nigella Pods as part of this floral series, if you’d like to see. And let’s not forget the Dahlia!